UlcerGard (omeprazole) Oral Paste for Prevention of Gastric Ulcers in Horses is the only product that's been approved by the FDA to prevent equine stomach ulcers. UlcerGard is a non-prescription preventive for Equine Gastric Ulcer Syndrome, a painful condition that can reduce your horse's performance and can even lead to death. UlcerGard contains omeprazole, which suppresses acid production in a horse's stomach. When given once daily during stressful periods, UlcerGard has been shown to effectively prevent stomach ulcers. UlcerGard is recommended for horses exposed to stressful conditions, including stall confinement, travel, showing, training, racing and competition. Each tube contains 2.28 grams omeprazole. Recommended daily dosage is 1/4 tube for horses 600-1200 lbs. For horses over 1200 lbs., give 1/2 tube daily. Dosage recommended for a duration of 8 or 28 days. Cinnamon flavored paste. UlcerGard (Omeprazole) for Horses is rated 4.90 out of 5 by 267. My endurance horse suffered from ulcers after his first 3 day series of competition races. This was new to us!! Vet prescribed ulcer medicine that cost hundreds of dollars and worked, but this was an issue I was going to be often faced with, as we moved up to 5 day rides. Friends suggested this product for pre-competition, using when we haul and daily till done. Since I started using it on Simba, NO more ulcers!! Super easy to administer and inexpensive compared to treatment after he has an ulcer! Best price on Ulcergard and super fast shipping so my horse could begin treatment very quickly. Will use again! My horse was diagnosed with ulcers and I had to treat her for 28days with 1 tube of ulcerguard a day. Valley Vet by far had the best price for bulk supply. More cost-effective than a similar brand and did not require a prescription. Very happy with delivery time as well! I have bought this product several times to treat ulcers. Sometimes it works, sometimes not as effective. I find the product very expensive and hard to administer. If they don't like the taste, they will spit it out or not eat it if you put in feed. If they do not eat or spit it out, the product has been wasted and it is very expensive. Often when horses are suffering from ulcers they are picky about eating. Unfortunately we do not have many options for ulcer treatment and are forced to pay the high price for this product. Valley Vet always ships products fast and I generally receive my products the next day or within two days. I ordered a large expensive order of Ulcergard and then, on the advice of another vet, had my horse scoped. It turned out he didn't have ulcers so I contacted Valley Vet customer service. With polite, professional, friendly conversation, I was instructed how to return and encouraged to insure the package. All went very smoothly with confirmation of return receipt and credit back on my card. Kudos to Valley Vet customer service! I have used UlcerGard in the past and it has been the only thing that really does the job when my mare'a ulcer flares up. I have tried other products, but none work as well as the UlcerGard. I always keep some on hand just in case she needs it. It's expensive to use to treat the ulcer, less to prevent a flare up. But I still think this medication is very expensive. The expense is the only reason I gave this product a 4 rather than a 5. Horse had surgery and was showing discomfort after. Used this after surgery and no ulcers! Alas I can't wait until they lose there patent because a month of this is more than my board bill. I own a 25 year old gelding who has shown his entire life. Recently moved him to a different barn and he developed an ulcer. He quit eating and appeared miserable and bloated. I put him in Omeprazole and within three days he became his old self again! He acts like he's two again. Great drug. I'm treating him for a month to prevent a future flare up through our cold winter. I bought Ulcergard 6-pack to protect my horse on his trip to Florida. They left early so I did not get the Ulcergard to transit in time due to the change of plans. I returned the 6-pack. easy to return and no hassles. Great communication on return. Price was excellent too. thank you. Works. I wish the active ingredient could be made as a generic. It is much more affordable from Valley Vet than locally but I unfortunately cannot keep up with the expense. Valley Vet ships quickly. I have an ulcer-y OTTB. He's on a daily sodium/bi-carb feed through that is usually enough to keep his stomach issues at bay. However I've noticed in the spring and fall with changes in weather and hay, the feed-through isn't enough. He becomes spooky when I ride, sore through his lower back and girthier than normal. I keep ulcergard on hand so when he starts acting out I can do a treatment cycle. It has changed our world and helped him immensely. I also use it for stressful situations such as trailering and competitions, just as an extra precaution. 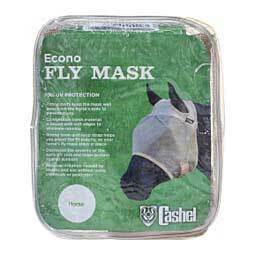 I purchased this product for a new horse who showed signs and symptoms of ulcers. Within 5 days of use I noticed significant improvement with my mares mood and work attitude when used as directed . The other great thing about this product is that it has a generous manufacture rebate that's easy to use. My TB was eating sporadically and seemed under the weather, my vet recommended UlcerGard,and it has been very effective. It is expensive but compared to the feed store it was a huge savings. The product arrived quickly, I was glad that I had it shipped to my work, it made it much easier since it had to be signed for. Most trusted product on market today. Just wish the cost wasn't so much. Gastrogard and UlcerGard are both too expensive and costs make it impossible to purchase for those who cannot afford it. Now that patent is over, hope others make equal product at less costly price. UlcerGard has made a positive difference for my mule. Great product & at the best price I could find local or online!